If you only buy one ski pant for the rest of your life, you can't go wrong with the 686 GORE-TEX® Smarty 3-in-1 Cargo Snowboard Pant. It has all the waterproof, windproof, and high-comfort features you need for season after season of serious shredding. 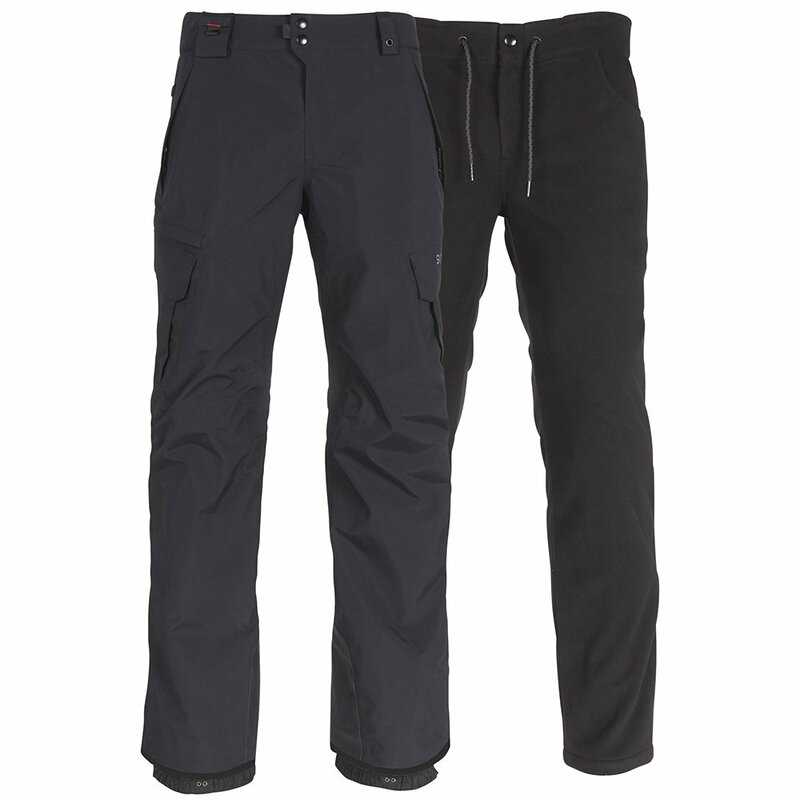 This pro-level men's snowboard pant maxes out on the waterproofing and breathability scales with max ratings for each. And it maxes out on warmth, too, with a stretch poly fleece removable liner under the shell. And if you don't have time to change before heading to apres, no problem! The GORE-TEX® Smarty 3-in-1 Cargo Pant has a modern, street-ready look that's totally appropriate for wear around town. These pants are 100% waterproof and include a Smarty™ removable fleece liner for max warmth. Wear these year after year, thanks to a durable construction, anti-abrasion leg panels, and wrapped side seams. These ultra heavy-duty ski pants have both a jacket connecting system and BOA® compatible boot gaiters.